Education Loan Refinance in the News. Learn more about all the latest and greatest news from Education Loan Finance. Brandon Poore explains why budgeting doesn't have to be intimidating. "Don't make it a daunting task," said Brandon Poore, a sales manager at Education Loan Finance, a branch of SouthEast Bank. He said budgeting doesn't have to be intimidating. Is Student Loan Cosigner Release Really Possible? Barbara Thomas explains the difference in using cosigners for in-school loans and refinancing of student loans. In our conversation, none of the student loan experts had seen a successful cosigner release. Furthermore, a Consumer Finance Protection Bureau (CFPB) study found that 90% of cosigner release applications were rejected by the lender. What can degree-hopefuls can do to avoid amassing inflated amounts of student debt? Barbara Thomas talks with Farragut Press about the launch of ELFI for Business. How supporting employee’s student loan debt could end up helping your business. Business benefits could include recruiting top talent and more. Education Loan Finance is the first student loan refinancing lender to receive the AAA rating from both Standard & Poor’s and DBRS on its senior notes in its first securitization transaction comprised of this type of education loan product. Bankers Healthcare Group, the leading provider of financial solutions for healthcare professionals, introduces a new way for its customer network to pay off medical school debt through a partnership with ELFI from SouthEast Bank, an education loan refinancing and consolidation program. U.S. News ranks Education Loan Finance as one of the best student loan consolidation lenders of 2018. Borrowers are assigned a dedicated personal loan advisor who is a single point of contact from application to payoff. Personal loan advisors are four-year college graduates trained and tested in student loan programs and refinancing. Simon Rivera was one of 44 million people who owed money on student loans until a video he made about raising a family while paying down debt won the top prize in a contest. Education Loan Finance would like to reward those who have taken on student loans to obtain their college degree. Many college graduates are still soaking in what it means to be finished with school and with that comes the real world and student loans. ELFI Gets AAA Ratings on Inaugural Securitization Deal. ELFI Education Loan Finance announces the close of its inaugural securitization of refinanced student loans. Education Loan Finance – ELFI – a division of SouthEast Bank has recently lowered rates on its student loan refinancing program. Education Loan Finance- ELFI – a division of SouthEast Bank focusing on student loan debt refinancing and consolidation, has recently lowered the rates on its student loan refinancing program. ELFI rewards hard working, financially-responsible college graduates with better refinancing and debt consolidation options, while also offering among the lowest rates in the industry. Executive Vice President of Education Loan Finance (ELFI) shares views on how lenders can avoid future issues. There is an opportunity, for lenders and servicers to learn from these conflicts and employ best practices going forward to avoid similar trouble. We spoke with an industry professional, Barbara Thomas, Executive Vice President of Education Loan Finance (ELFI), to get her views on these and other issues. ELFI is the newest player in the student loan refinancing game. In 2015, SouthEast Bank decided to start offering refinancing for borrowers. ELFi claims to be “a smarter way to refinance your student loans”. 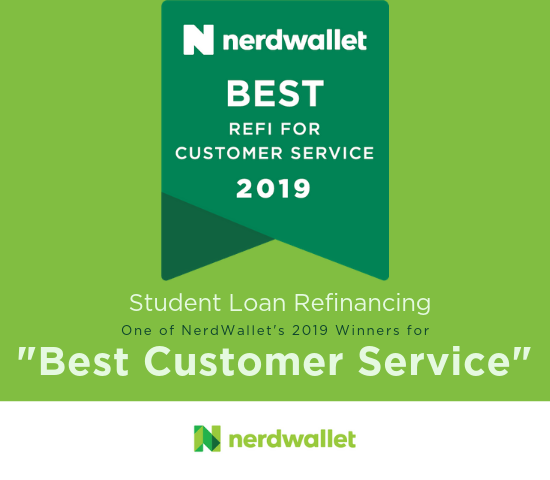 In this review we will explain what this company does, the benefits of using them, and how they differ from other student loan refinance lenders. Student loan borrowers may have the option to defer their payments while they’re enrolled at least half-time and during a grace period after leaving school. S&P Global Ratings and DBRS provided AAA ratings for ELFI’s inaugural securitization of loans refinancing the debt of borrowers with advanced degrees and high-paying jobs. ELFI has officially launched its student loan refinancing and consolidation loan for parents – the Parent Loan – which will allow parents to refinance both their Parent Plus loans and private student loans. See what are customers are saying about us!